When I read The Last Mrs. Parrish as part of Reese's Book Club last year, I fell in love with Liv Constantine (the pen name for powerhouse author duo and sisters Lynne Constantine and Valerie Constantine). 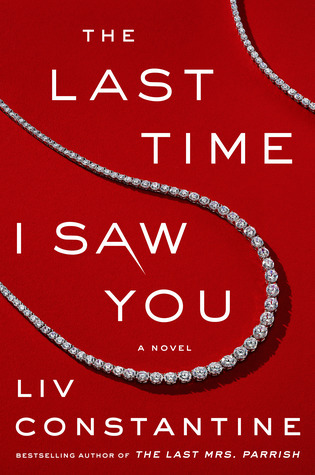 So when I had an opportunity to review an advanced copy of The Last Time I Saw You, I was overjoyed. The one thing that I will say is that I guessed one of the larger twists very early on in the story so I wasn't entirely surprised in the end. There were still a few tricks up the author's sleeves so I didn't feel entirely let down, but the end got a little convoluted and crazy. At the end of the day I'm still a huge Liv Constantine fan and will continue to read anything this pair publishes. Can't wait to see what they come up with next. Sign into Goodreads to see if any of your friends have read The Last Time I Saw You.